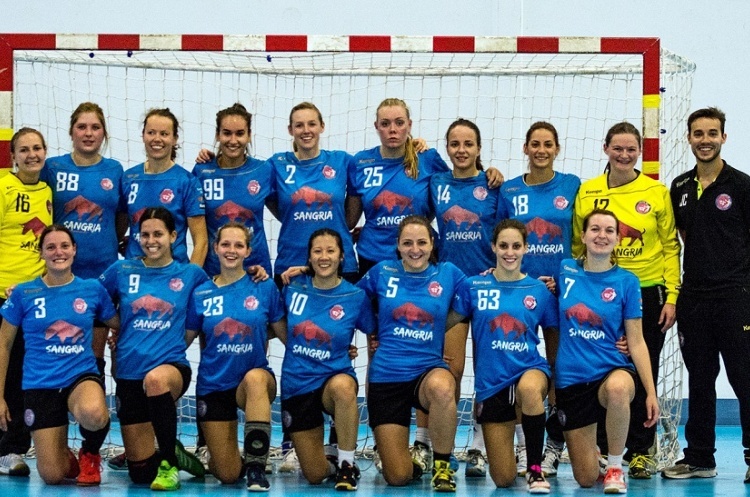 London GD stay top of the Women’s Premier Handball League after beating Peninsula 29-14. Maria Teresa Perez Laguna, Nikola Seymura and Maria Marselli all scored five goals for GD, while Laura Black and Jemaine Knott both beat the keeper four times for Peninsula. The win ensures GD keep their 100% record. Promoted Peninsula sit bottom of the table, still searching for their first win. Hawks are second in the table thanks to a close-fought 21-19 victory over London Angels. Hawks trailed 9-12 at the break, but fought back to claim maximum points. Holly Lam-Moores top scored for Hawks with eight goals. Beata Nagy and Nora Sandor found the back of the net four times each for Angels. Angels have four points, the same as Peninsula and Coventry Sharks, but are sixth thanks to a superior goal difference. West London Eagles are third, courtesy of a 27-24 win against Olympia. A tight first period saw Eagles lead 12-11 at half time. The second half was also close as Eagles took maximum points. Amelia Maria Neacsu of Olympia was the top scorer in the match with 10 goals. Sunniva Ovstabo Naess and Lucie Duluc both beat the keeper seven times for Eagles. Coventry Sharks put their opening-match defeat against GD behind them with a 26-19 victory against Cambridge. Sharks led by just two goals at half time. However, they pulled away after the break to secure the three points.